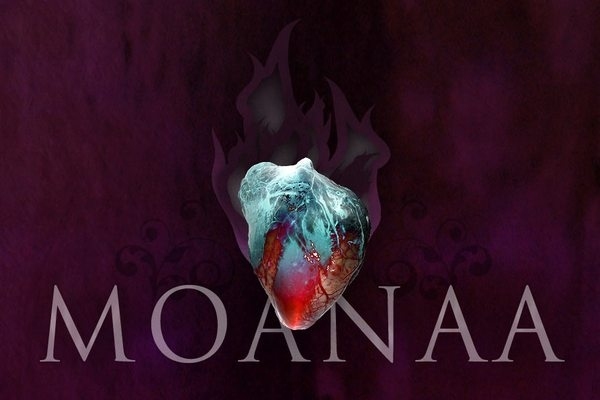 This is a self-released EP from the Poland Sludge/Post-Metal band "Moanaa." I'm hoping that 'Moanaa' translates to something cool in Polish because a simple pun/mis-spelling of a woman's name doesn't really translate into a great band name, especially for a band that sounds so serious. You might think this is just another generic sounding Post-Metal band but this EP does show some promise, I particularly like the vocals. The songs unfortunately do seem to somewhat follow the same pattern of quiet build, loud/heavy middle, atmospheric break, heavy outro. Luckily the music itself is good enough to overshadow the formulaic approach.